News from our friends at the National Coalition for Independent Action as they release two more reports from their Inquiry into the Future of Voluntary Service. The first – Voluntary Services and Campaigning in Austerity UK: Saying less and Doing More by Dr Mike Aiken reveals that charities and other voluntary groups are often absent from campaigns to tackle the root causes of poverty. It shows that voluntary groups, especially those under contract to government, face threats to remain silent about their experiences and many are fearful to speak out in case they lose their funding or face other sanctions. The findings show a climate of fear and threats to free speech. They follow on the tails of a Charity Commission investigation into Oxfam after the charity warned of the “relentless rise of food poverty” in the UK [http://www.bbc.co.uk/news/uk-politics-30546517 19.12.14]. The Commission’s investigation was instigated after a complaint against Oxfam by Tory MP, Conor Burns. It adds to fears raised by the ex-Bishop of Oxford, Richard Harries, who said this week that charities and campaign groups have been “frightened” into curtailing their public work by the new Lobbying Act [http://www.bbc.co.uk/news/uk-politics-30935367 22.01.15]. 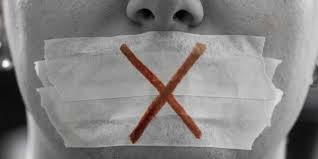 Mike concludes that “the injunction to silence knowledgeable voluntary groups from talking about their experiences would be quite at home in any totalitarian regime seeking to crush independent and divergent voices”. We’ll do a separate post on the second report Struggling to Survive… Independently: Stories from the Frontline of Voluntary Services by our own Bernard Davies in the next day or two. Previous The Cuts : The Gravy Train – Cronyism and Incompetence in LA’s?